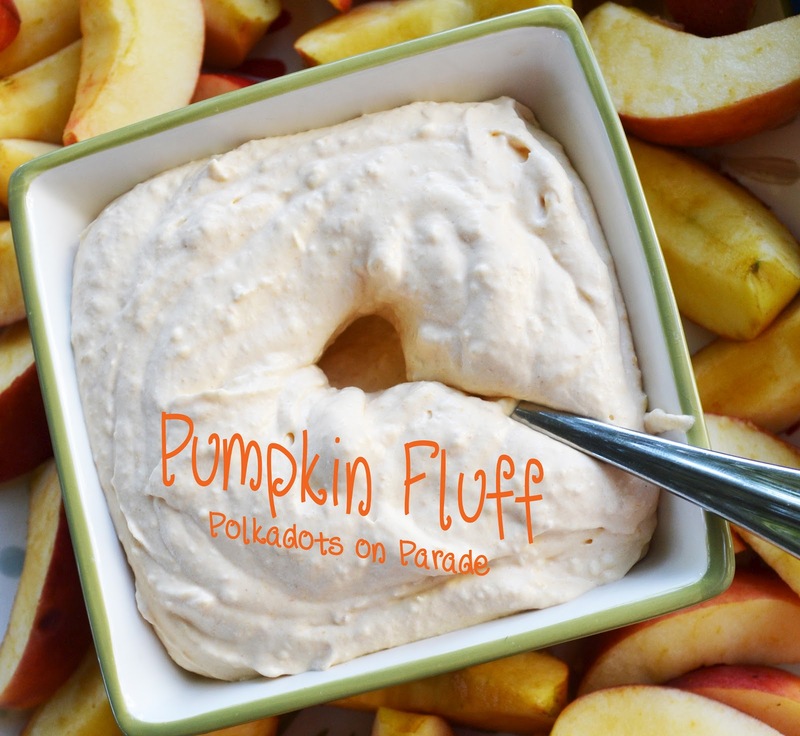 Polkadots on Parade: Foodie Friday: Pumpkin Fluff! We had a potluck party to go to and I was assigned fruit. I love a little pumpkin flavor, and I love a fruit dip! And so I created Pumpkin Fluff! We thought it was super yummy with grapes and apples! 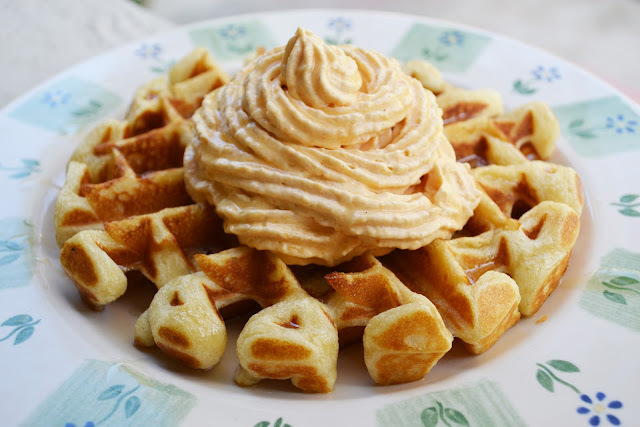 Then the next day it was great on waffles and totally awesome in hot cocoa! Think of all the things that could use a little Pumpkin Fluff! What a brilliant idea. Welcome fall! This looks delicious! I've made a different version, but this looks even better! Must try it! That sounds so great! I love anything pumpkin. I'm pinning this. Holy cow this looks amazing!! Thanks for sharing. Saw you over at tatertots and jello. Well that just looks like a bite of heaven to me! So easy too! Thanks for sharing it! What a wonderful idea! I host the Fall Into the Holidays hop and would love to have you link up! Wow, this looks amazing! I bet it tastes wonderful. I wanted to stop by and let you know that you were featured today at Just Us Four. I hope you will stop by and check it out. Thanks again for linking up to the Pinworthy Projects Party. I cant wait to make this! What would you dip in it? Discovery Science Center: Bob the Builder! Keep Calm and Get Your BOO On!